This has to be the most asked question that I have been subjected to over the past (almost) three months. Okay maybe the second most, often following how are you? Either way I thought it was high time I tried to answer the question. Firstly, let’s talk about the actual running (unusual for me, I know). For the first month of the trip, if I’m dreadfully honest, involved very little running at all. In fact, arguably the next month involved very little running too – with me gaining strength after stomach ulcer gate and easing back into it – a 20/80 run/walk ratio was considered good. The most recent weeks however have led me to believe I can actually call this a run, with most days involving greater than 50% running. That’s probably more than the first ultra that I took part in, and therefore I am saying it counts. So, maybe it is time I call myself a runner. I can’t wait to get back and test this theory without the pack. Then there is technique. A recent analysis of my newly retired trainers tells me I haven’t improved much on that front, with the heels wearing through much faster than the rest of the sole. 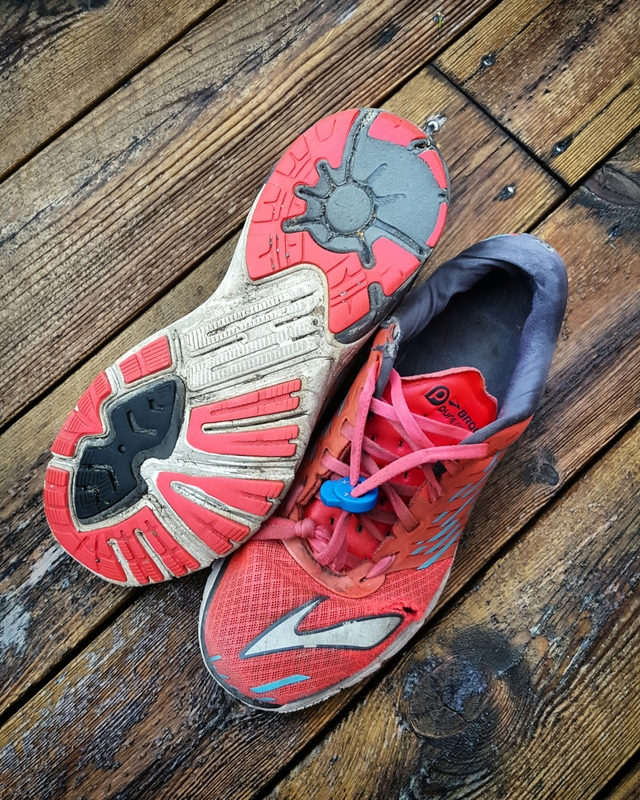 I have however (touch wood) managed to avoid too many injuries – proving Barefoot’s theory that to avoid injury all one needs to do is slow down. The next consideration is how am I doing mentally. This mostly depends on how my day is going. On a good day, I look forward to the end, I see it as just within my grasp and I feel proud of how far I’ve come. On a bad day however, and I have to say these are getting a little worse now I’m really quite fatigued, it can be really tough. Suddenly the daily average of 35km seems impossible, every joint in my body starts to painfully creak, my legs long for rest and my body yearns for sleep. It is also on these days that the grumpatron section of my brain starts telling me that it has not even been a worthwhile trip – the amount spent outweighs the amount raised and although I’ve personally gained so much from being out here, what have I given back to other people? Like I said, bad days can be tough, but luckily (touch wood again) there tends to be one bad day for every three or so good ones. So really, I shouldn’t complain. So, all in all, that is how the running is going. Following that, it is two more days to the ferry terminal, where I hope to arrive on the 6th November. An early ferry on the seventh (I say early – there are only two a day) and a bit of running should set me up to complete the 248 km in around 6 days, with an estimated finish date in Flensburg of 12/13th November. Wow, now I’ve said that out loud it feels kind real. I guess all that’s left to do is get on with it! Next Next post: Are you not scared…? !